Improper use of English is one of my pet peeves. I’m not a full-blown “grammar nazi” (a colloquialism for someone very strict with grammar) but it does irk me. 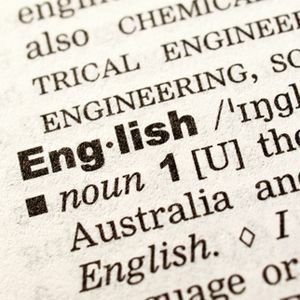 An exception can be made for those who don’t use English natively, but blatant disregard for the rules of language can be seen all over the Internet – and it can be quite annoying. Language is meant to convey ideas through a common medium that obeys a set of rules. Ignoring those rules – e.g., by shortening “you” to “u” – may be fine in a private context between two people, but utterly inappropriate in a public context, such as when commenting. At best, it makes one seem juvenile and/or lazy. At worst, it makes one look stupid and/or ignorant. Not convinced? See Jejemon for an example of how extreme it can become. Fortunately, there are a lot of online tools dedicated to preserving the integrity of the English language. Here are a few to help you out. An obvious beginning to a list like this, but there is no better place to start when it comes to learning the English language. A dictionary will help you with basic vocabulary, definitions, and spelling. A thesaurus will help you to expand a basic knowledge of English into more sophisticated realms. Both are essential. With that said, my preferred dictionary-and-thesaurus combo comes from Reference.com. I’ve been using it for years and it has never let me down. The site has a lot of great features like “Word of the Day”, explanations of the history behind words, and games and tools to build your vocabulary. If you truly want to understand the nitty-gritty of the English language, then you can’t subsist on only “proper words”, if you will. Whether at the office or on an Internet forum, you’re going to come across a lot of weird sayings, idioms, and slang that will confuse you – even if English is your first language. That’s when you can turn to the Online Slang Dictionary. Started in 1996, it’s perhaps the largest repository of slang definitions on the Internet. It’s constantly being updated, so you’ll never fall too far behind in keeping up with the ever-evolving language. This site is especially useful for those who are learning English as a second language OR for those who may not be as hip and young as they once were. And best of all? Online Slang Dictionary is heaps better in terms of quality than the cesspool that is UrbanDictionary. Even though I’m fluent in English, the language itself has a lot of tricky words and grammar rules that still trip me up from time to time. For example, what’s the difference between “while” and “whilst”? What about “alright” and “all right”? For questions like that, I always use Grammar Girl. This is one of my favorite websites, to be honest. Grammar Girl is hosted by Mignon Fogarty and she does an excellent job explaining the nuances that go into the trickier portions of English grammar. So if you have a strong grasp of English but want to push yourself beyond the mistakes that most people make, then Grammar Girl is for you. So, using English properly on the Internet is good and all, but what about in real life? You know, when you log off the Web and talk to people face-to-face? How’s your English then? In particular, I’m talking about your pronunciation. It’s no good if you know what a word means if people can’t understand you when you say it! There’s a YouTube channel called Pronunciation Book that has hundreds of videos on how to pronounce certain words. These videos are divided into categories, like alphabet, days of the week, everyday phrases, prepositions, and more. Surprisingly, this channel is quite addicting. If you ever get bored and need a break, you can always hop over to the parody channel, Pronunciation Manual. It’s always good for a laugh or two. Along the lines of pronunciation, we have HowJSay which is more of a dictionary of pronunciations. If you want to know how to pronounce a particular word, this is the site you want. With over 160,000 entries, you’re more likely than not to find the words you need. The cool part of HowJSay is that it has app versions for both iPhone and Android. If pronunciation on-the-go is what you’re looking for, then this will probably come in handy. There’s another aspect of the English language – or language in general – that many of us seem to forget, myself included. Readability, or a qualitative gauge at how easy it is to read a particular piece of writing. Have you ever read a Wall of Text comprised of nothing more than run-on sentences and bulky phrases? That’s what I’m talking about. Using Readability Score, you can take any chunk of your writing, paste it in, and have the website analyze your words according to a number of readability tests. The primary formula – the Fleisch-Kincaid Reading Ease test – will describe, on a scale of 0 to 100, how easy it is to read your writing. Depending on your grasp of the English language, you should be able to tailor your words according to your audience. Readability Score is a useful tool in learning more on how to use English effectively. 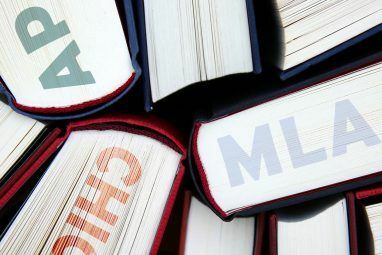 These are just a few tools that deal with varying aspects of English: vocabulary, spelling, grammar, pronunciation, and readability. I’ve only given you a taste of what’s out there. If you search around, you’ll be able to find more websites and programs that deal with these different aspects. What do you think? Any suggestions for similar websites that you think should be on here? Share your thoughts with us in the comments. 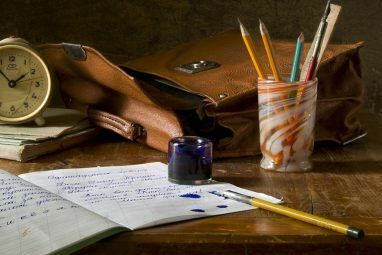 Explore more about: Dictionary, Writing Tips. A very catchy title, Joel. I have been a subscriber to dictioany.com, and Grammargirl.com for years and recently started using Readability score. Post should be helpful for those just getting started as writers. Thank you so much for sharing these helpful websites. I hope it will help me to improve my writings. Thanks again. You're welcome. Good luck in your progress! I generally prefer read what I wrote and catch some of the mistakes that I've made. Deadline website also checks for grammar and spelling problems within an inserted box, but it shouldn't be used sole-fully. If you want to become better at writing then, read more books and write more. Reading more and writing more is the BEST advice for improving in any language. Practice makes progress. Excellent! Great article, definite contender for "title of the year" too! It should be "more gooder."